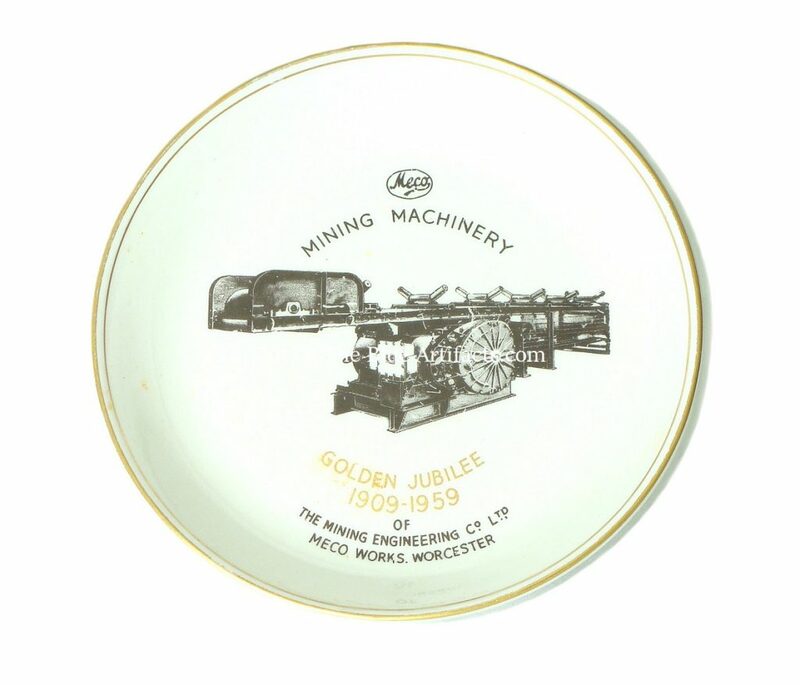 Meco Mining Engineering Co Ltd.
A small China plate to commemorate the Golden Jubilee of the Meco Mining Engineering Co Ltd – Meco Works, Worcester, England. 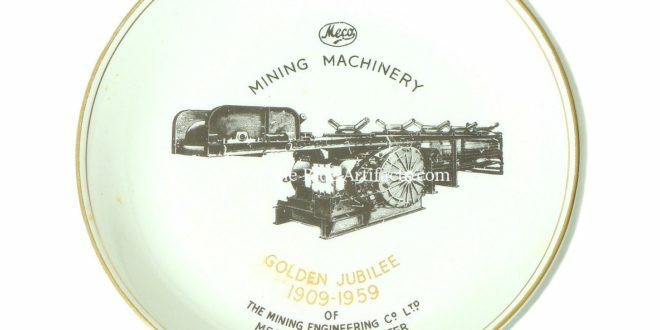 The Golden Jubilee 1909 – 1959. Size 4″ inches diameter. The plate image shows a Conveyor Belt Head and Motor.